I have been wanting to make something chai flavored for a long time. 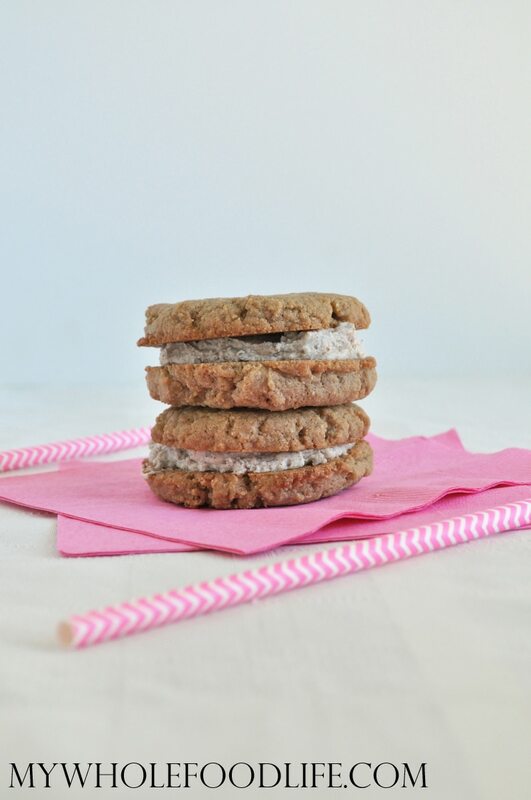 I am so glad I decided to make these Flourless Chai Sandwich Cookies. They are quick and easy to make. I filmed a video for You Tube the other day about coconut cream. So I decided to use the coconut cream in this cookie recipe to take it to the next level. If you enjoy my other flourless cookie recipes, you will enjoy these! Here is a little video on how to make the coconut cream filling. I would love for you to subscribe to my channel! You can do that by clicking here. A spicy cookie with a creamy filling! In a food processor , combine all the ingredients. Mix only until a dough starts to form. Using a cookie scoop , drop cookies onto a lined baking sheet . Use a spatula to flatten them a little. Let the cookie cool completely. They will crumble if they are still warm. Once they are completely cooled, then you can add the filling. These cookies should last a couple weeks in the fridge. You can also freeze them for longer. Enjoy! Wow - I love that video! I did not see chia listed in these flourless chia cookies? could I use organic butter instead of cashew butter? Love your recipes. Maybe? I am not 100% sure it will work. Another nut butter will work though. I would love if you could add directions for the filling in the recipe. While a video's great (and I certainly don't discourage it as a supplement), I can't print that out for use in the kitchen. Love these! Even my friends loved them. The cream filling didn't work out though. It tastes fantastic but it's more of a cream to pour over the cookies. Glad you liked them! If you put the cream in the fridge for a bit before spreading it onto the cookies, it firms up nice. What food processor do you use? We've been through a few and can't find a good one.